So this makes a new house that lets two families live there. You can either build it directly or as an upgrade to the stone house. I'm having two issues with the mod that I can't seem to figure out. 1) The new house still uses the model for the stone house because I don't know how to make a new model myself. 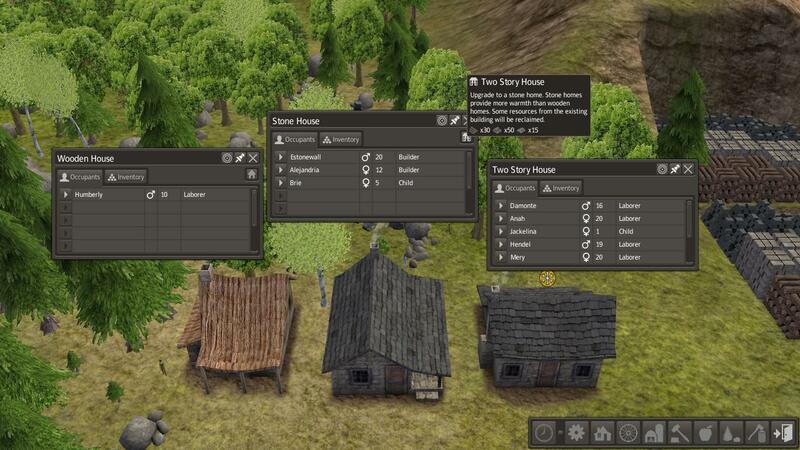 2) When you hover over the upgrade button on the stone house it still says 'upgrade to a stone home'. Whenever I try to modify the Upgrade.rsc it crashes the game, and I figured that the tooltip wasn't really that important anyway. Fixed the crashing bug when you select a house under certain conditions. Thanks Mr Teal for the troubleshooting. Fixed the crashing bug when you select a house under certain conditions.